Howdy! This week we received a testimony in our mailbox. It was signed “G.” and it is about this mysterious sender’s career as an american electrical transformer specialist. Hmm, interesting! 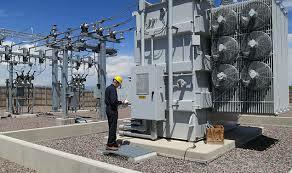 “As an electrical transformer specialist for a major gas company in the U.S, I have a critical role to play. But before I move on to the job details, I will give you a little brief of my educational skills, so that you can get an idea as to what background is necessary to better perform in the role of an electrical transformer specialist. Initially, I studied AS in Electromechanical Engineering from Bristol Community College and then went on to complete my BS in Electrical Engineering Technology from Roger Williams University. I then later completed Masters in Management from Lesley College.